Hello, and welcome to the YSFlight community! We know you don't want to read a ton of stuff to get started, so we made this step by step guide for you. You can see a more complete list of rules here. Step 2: Download and install the game. After this, set up your key assignements. If you have some problems or questions with the game in general, have a look here. YSFlight is a really old school game, but you can make it look, sound and feel much better with addons! In fact, without them the game is much less fun. If you want a specific aircraft, try looking in yuichi's search engine. If you still can't find what you want, try searching our forums. Also, make sure you visit the addon release forums for a HUGE range of community made addons! Offline: there's loads of freeform stuff to do offline. Online: This is where YS really shines. You can crossover all the stuff from offline as missions, and on top of that you can do it with other people. The result: EVERYTHING is possible. You can simulate any combat, civilian flight, or air show you can think of. 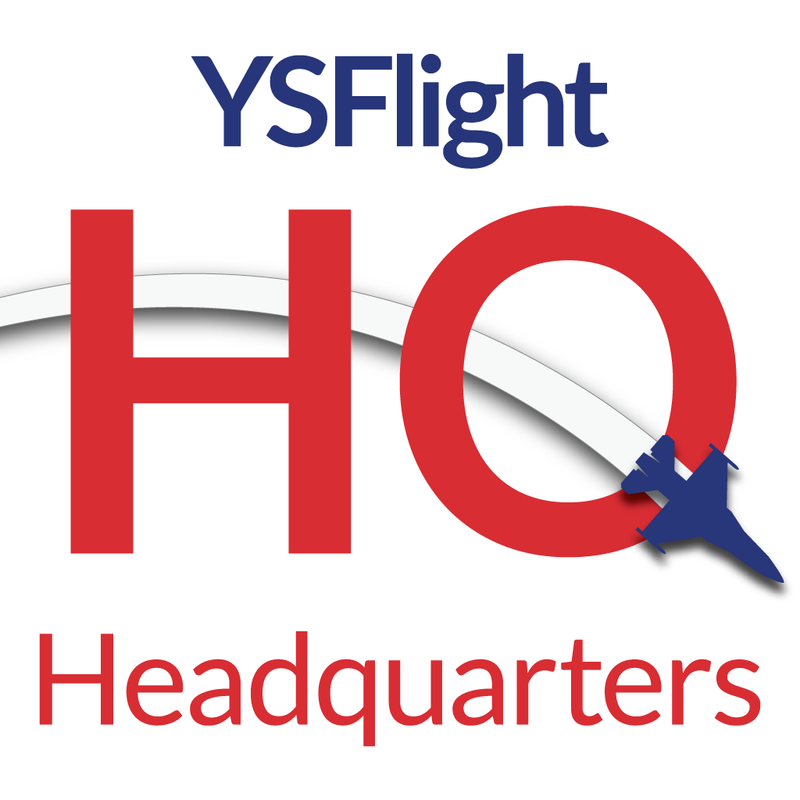 For civilian flight, you'll want to drop by the YSFHQ terminal. For airshows and aerobatics, the Display Line is for you. You want something in the game that isn't there yet? Sure, you could request it, but that's no fun! YS is ten times as awesome when you realize you can make anything happen in it, and we've gone ahead and made it really easy for you to learn how. For aircraft modding, we have so many tutorials it's mind boggling, but you should start here. For maps, you'll need the Scenery Editor and if you can't figure that one out with the included help file, we have tutorials just for you too. The forum is mostly here is for all things YSFlight, aviation and just about anything else really. We're here because the people here have common interests, and we are the number one source for help, events, and discussion on every aspect of YSFlight. You want to start something or work on one of our many, many projects, this is the place to be. Step 7: Still have questions? Of course you do. We can't cover every topic ever, but we can damn well try. And odds are that someone here knows the answer, because we have people who've been in the YS community for up to twelve years. That right there is experience. Something a little off topic? Feel the need to contact the administrators? Last edited by Midnight Rambler on Sat Dec 31, 2016 9:07 am, edited 1 time in total.